It’s a show where several interior designers compete each week on different design projects. Each week, someone is eliminated, until we’re left with the winner. One week they’ll be designing a blank white room. The next week they might be designing a kitchen or an apartment living space…you get the idea. At the end of each episode, the judges walk through the contestant’s finished space and critique them. The only catch is this – the contestants aren’t there for the critique. They’re out riding around in a van or something. One of the contestants last night commented on how nerve-wracking it is to not be there when the judges go through her space. She can’t explain away any mistakes. She can’t give them any disclaimers. The room has to stand on its own. And that is SO true of anything artistic, especially mixing music. People (and clients) don’t want to hear why the kick drum doesn’t sound as great as you wanted. They want to hear the music. 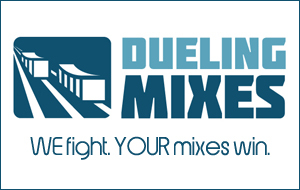 When you’re mixing, you need to produce a finished piece of art that stands on its own, no disclaimers needed. And it takes practice…lots of practice.